The maximum size of the ore-mining particle size should not exceed the specified size, otherwise the crusher output will be affected and the liner wear will be severe. Sometimes the crusher shaft breaks due to excessive nuggets, so excessive ore should be strictly controlled to enter the crusher. 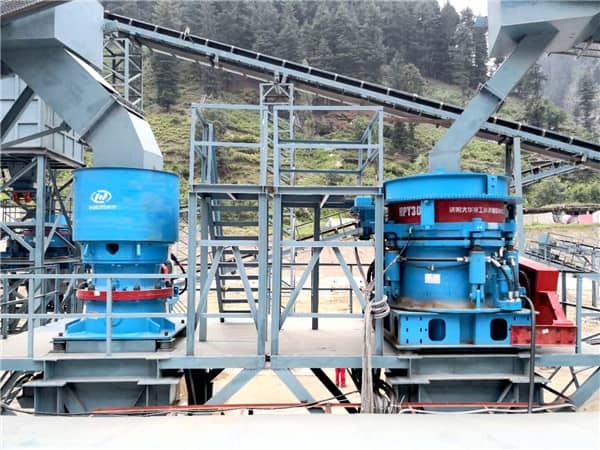 In order to improve the productivity of the ball mill and reduce the cost of grinding, the fine cone crusher of the concentrator strives to have a smaller ore discharge port and obtain finer particle products. Therefore, it is required that operators must adjust the ore discharge port at any time according to the wear of lining plate of the crusher to ensure the granularity of the product. The fixed cone liner is subjected to great impact load when the crusher is working, which is easy to deform the filled zinc layer. Therefore, in order to avoid liner relaxation, it is necessary to often tighten and tighten the "U" type bolt nut, so that the pressure plate will liner pressure plate, do not let it relax. The moving cone lining is pressed by the upper nut of the main shaft. The loosening of the nut can loosen the lining, and even the filling layer will gradually fall off, causing downtime and production stoppage. Therefore, always check and compress the nut to prevent loosening. The spherical bearing seat should be tightly mounted in the bore of the body. The tightness of the spherical housing must be checked during inspection. After the crusher has been working for a long time, the tightness of its parts may be destroyed. In order to prevent the support sleeve and the adjustment ring serrated thread early wear, in the crusher work, must be firmly on the housing pin with wedge iron wedge tight, and in the case of no stop locking is not allowed to work. The dust-proof water seal is to prevent dust from entering the crusher unit, which is very important to ensure the normal operation of the crusher. Therefore, it must be carefully maintained so that it is always in good condition. Next Article: How to make the Cone Crusher start Quickly in Winter?